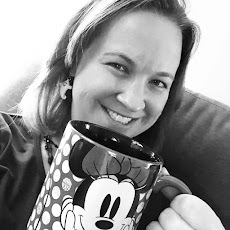 As a frequent traveler to Walt Disney World, I'm always a fan of staying on property with some of the perks like Magical Express and Extra Magic Hours. However, my bank account isn't always as big of a fan. 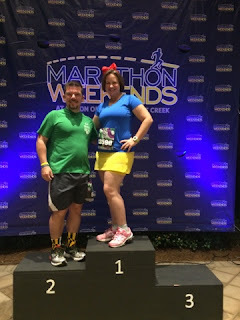 And with a healthy supply of Hilton Honors points saved up, we opted to spend our runDisney weekend at the Hilton Bonnet Creek where we could stay for free and use our money for more Disney fun. Located on a privately owned patch of land that is right in the center of Walt Disney World property, the location of the Hilton Bonnet Creek means that you are the center of all of the action. 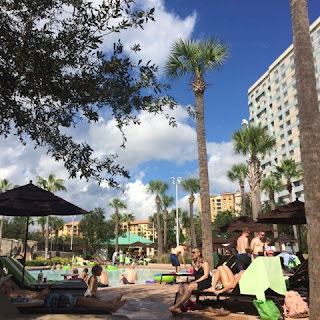 This was my first visit to the Hilton Bonnet Creek Resort, but I don't think it will be my last! The resort itself is beautiful, both inside and out. The lobby featured numerous areas of comfortable seating and looked out onto some outdoor seating areas where gas fire pits greeted guests each evening. We checked into a room with a Disney view where we could see Spaceship Earth, the Hollywood Tower of Terror, and ESPN Wide World of Sports all from the panoramic view out of our window. Our room also overlooked onsite amenities such as the pool and golf course - shared with the neighboring Waldorf Astoria. While we didn't play any golf on this trip, we did enjoy the pool complex which features a pretty cool lazy river, pools, and several hot tubs. On property, there are several restaurants that you can enjoy when taking a break from the parks. Each morning, we enjoyed breakfast at Harvest Bistro - where there was both a continental breakfast buffet and a full hot buffet. There were a lot of the usual offerings on both buffets, but a few unusually delicious treats like Pumpkin French Toast Casserole and an artisanal cheese and meat tray. We had lunch one afternoon poolside at Beech where a waitress served us in our cozy lounge chairs. My husband and I both opted for the pizza that day. I was expecting a personal sized entree, but was shocked at the large serving size. It was delicious and there was plenty leftover to take back to room later on for a snack. We also tried out La Luce on the evening of the Wine & Dine Half Marathon. I chose to go for the child's sized spaghetti so that I wasn't overloaded before the race. The food and atmosphere were both pleasant. With a wide variety of Italian dishes on the menu, I wish I would have been able to try more. Probably the biggest downside to staying at a non-Disney hotel is missing Magical Express. Since free transportation was not available to and from the airport, our party arranged for a Mears Luxury Sedan for our travel needs. It was roughly $75 each way plus tip. As a group of four adults, we would have spent almost that much on one of their airport shuttles which makes the sedan a no brainer with a dedicated driver, luggage assistance, and direct to your hotel service. Once at the hotel, free coach bus service is provided each hour to the four major Disney parks. The coach busses were very comfortable and not overcrowded. Another big perk of the coach transportation was having the space under the bus to store strollers - making it easier for everyone on board! If the timing of your plans doesn't match with the bus schedule available, you can always take a cab to the parks for less than $20 each way. Getting ready to board the bus for the Wine & Dine Half Marathon! Probably the biggest draw of the Hilton Bonnet Creek during runDisney weekends is the support they offer to runners. Overall, I was pleased with the race weekend experience, but there were a few cons to go with my pros. On the plus side, free transpiration is provided to the half marathon race and the hotel features a big send-off to the runners before they leave featuring music, food, and water. However, I was disappointed to not have transportation for the expo or the 5K during the Wine & Dine weekend. Since we didn't rent a car, we ended up arranging for Mears transportation or taking a cab to these events. I was also a little surprised at the overall lack of knowledge by concierge staff on the events of the weekend. Messages seemed confused - for example, how race transportation was going to work, departure times, and return transportation from the after party at Epcot. Everyone couldn't have been nicer at helping us try to find the answers to our questions, I just thought more people would be familiar with the race weekend events. Overall, I would return to Hilton Bonnet Creek again! It was beautiful, well maintained, and featured many great amenities. 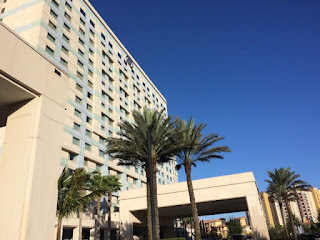 Having stayed at both the Hilton Bonnet Creek and Hilton Lake Buena Vista, I would definitely recommend Hilton Bonnet Creek, especially for families. There are a few improvements that could be made with regards to Marathon Weekends, but this is a really nice alternative to staying on Disney property and still getting great race weekend treatment.